Tropical storm Usagi, which developed from a tropical low-pressure system, is heading to south central Vietnam, with Ho Chi Minh City among localities to be directly impacted by the ninth typhoon to hit the East Vietnam Sea this year, meteorologists said Saturday. As of 4:00 am, the typhoon’s center was about 450 km east of the coastal areas stretching from the south-central province of Binh Thuan to the southern Ba Ria – Vung Tau. The storm's strongest winds were at a speed of 60 – 75 km per hour, according to the National Center for Hydro-Meteorological Forecasting. In the next 24 hours, it is forecast to move west at 10 - 15 km per hour and may gain more strength. The storm with sustained wind speeds at 75 – 100 km per hour will be about 230 km east of the coast of provinces from Ninh Thuan to Ba Ria – Vung Tau. As of 4:00 am on Sunday, the storm will continue moving west at 10 – 15 km per hour and make landfall in the area between coastal provinces in south central and east southern regions. It is then weakened to a tropical depression, the center said. The typhoon will cause torrential rains for south-central and south-east provinces, with localities stretching from Thua Thien – Hue to Binh Thuan provinces and the southern Central Highlands region forecast to suffer downpour with rainfall up to 300-500mm. Deputy Prime Minister Trinh Dinh Dung and Minister of Agriculture and Rural Development Nguyen Xuan Cuong co-chaired an urgent meeting to direct the 14 provinces to prepare for the typhoon on Friday, according to the Vietnam News Agency. At the meeting, Dung requested that provinces implement such urgent tasks as evacuating residents living in areas at high risks of landslides and flash floods, reinforcing houses and sea dykes, and making plans to ensure reservoirs’ safety. The deputy premier also demanded that rescue forces be ready for emergencies. In the meantime, Cuong said these provinces have to inform offshore vessels on the storm’s developments and take all possible measures to minimize damages. Light rains were seen at the center of Ho Chi Minh City at around 1:00-2:00 am on Saturday, and it remained cloudy in the southern metropolis by 7:00 am the same day. Le Dinh Quyet, an official of the Southern Weather Forecast Station, said under the impacts of storm Usagi, Ho Chi Minh City will suffer downpour with rainfall from 70 to 120mm, and thunderstorms capable of unroofing houses and uprooting trees. 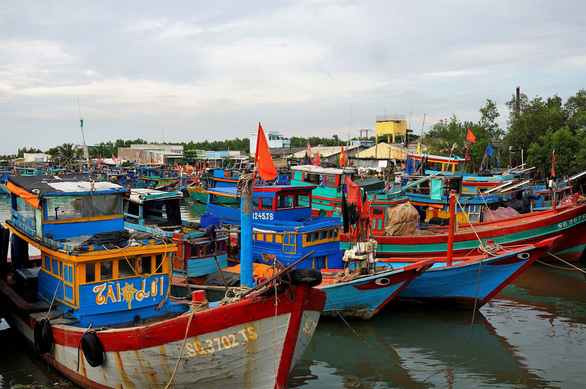 “Houses in the low areas of District 2, 6, 7 and 8, and Binh Thanh, Nha Be and Binh Chanh Districts are expected to suffer from flooding caused by high tides,” Quyet told Tuoi Tre (Youth) newspaper. 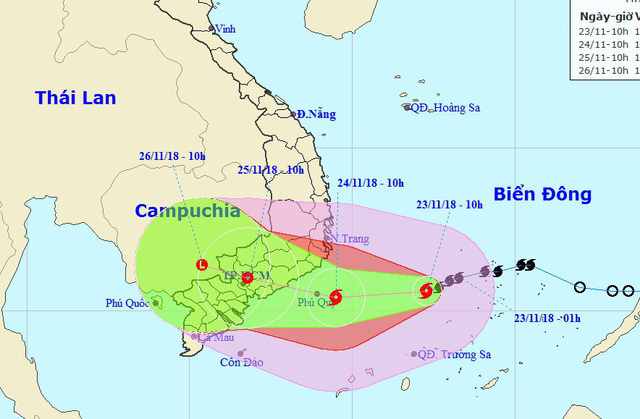 All schools in Can Gio District have been asked to allow students to stay home on Saturday, whereas all K-12 schools in Ho Chi Minh City are required not to hold any extracurricular activities while the city braces for storm Usagi. Some 2,000-4,000 residents in Can Gio, a coastal suburban district located some 50km from downtown Ho Chi Minh City, are ready for evacuation in case of emergency.